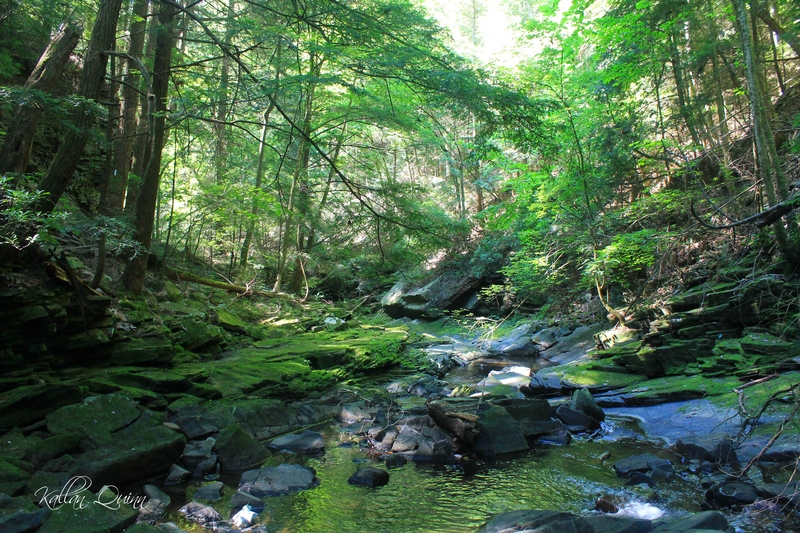 Fiery Gizzard Trail is called some of the best hiking in the state of Tennessee. 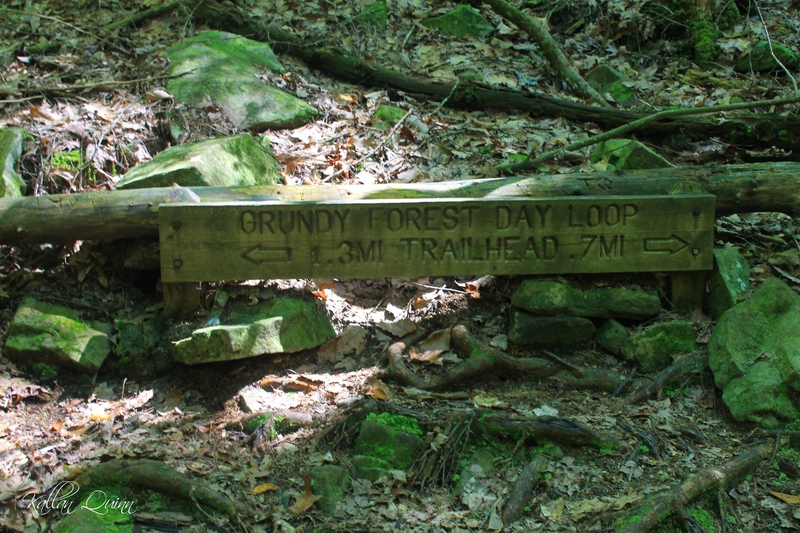 The 12.5 mile trail begins at the Grundy Natural Area Picnic Shelter and ends at Foster Falls. 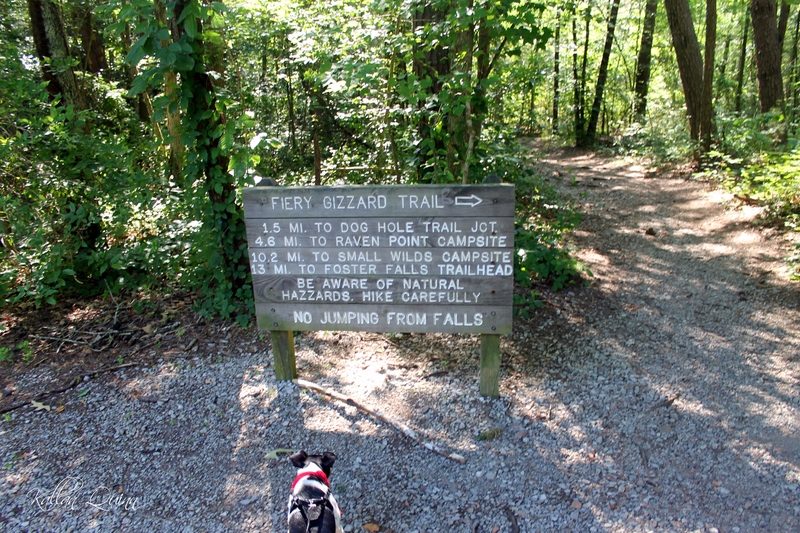 This trail is some of the most diverse hiking that you will experience in Tennessee. Be sure to pick up a trail map as it gives points of interest and mile markers so you know how far in you have hiked. We started out our hike at the Grundy Natural Area Picnic Shelter and from here the hike is very enjoyable. 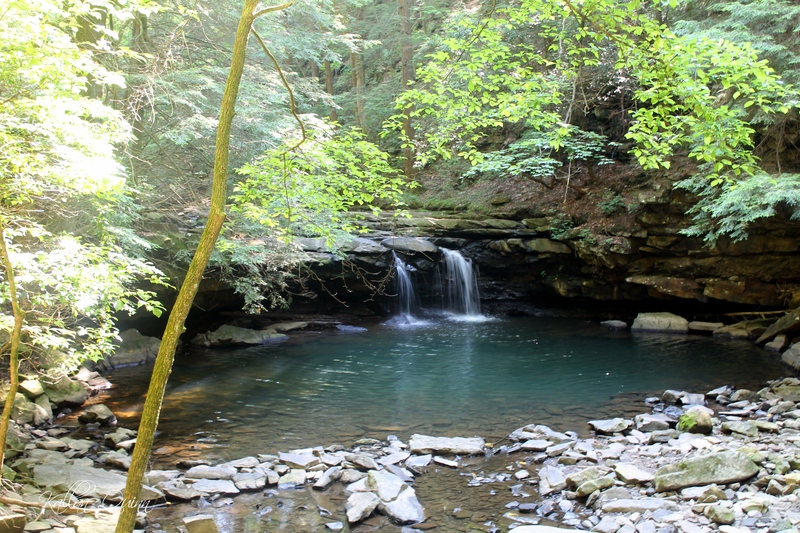 As you hike along Fiery Gizzard Creek, you pass Blue Hole which is a swimming hole with a small waterfall. 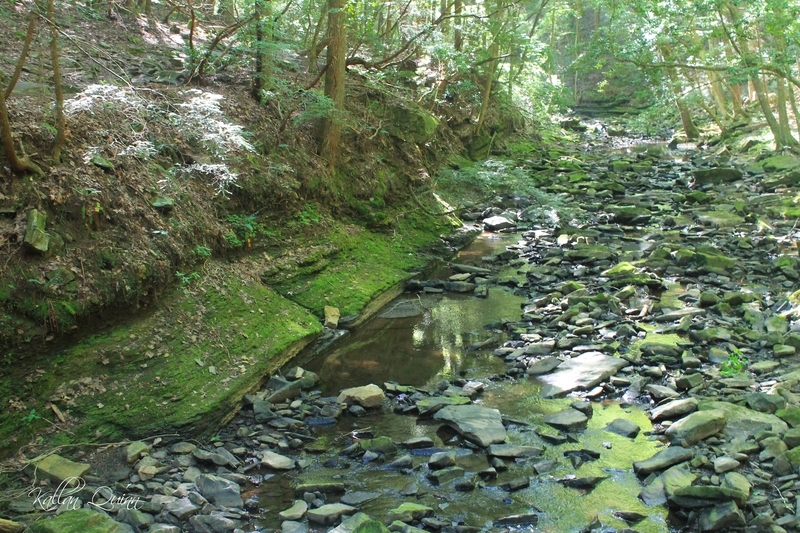 From here, the trail crosses over the creek via a wooden bridge and and leads to the confluence of Fiery Gizzard Creek and Little Fiery Gizzard Creek. They form a cascade and Black Canyon (name after the color of the rocks). It was difficult to get a picture of this, sorry! 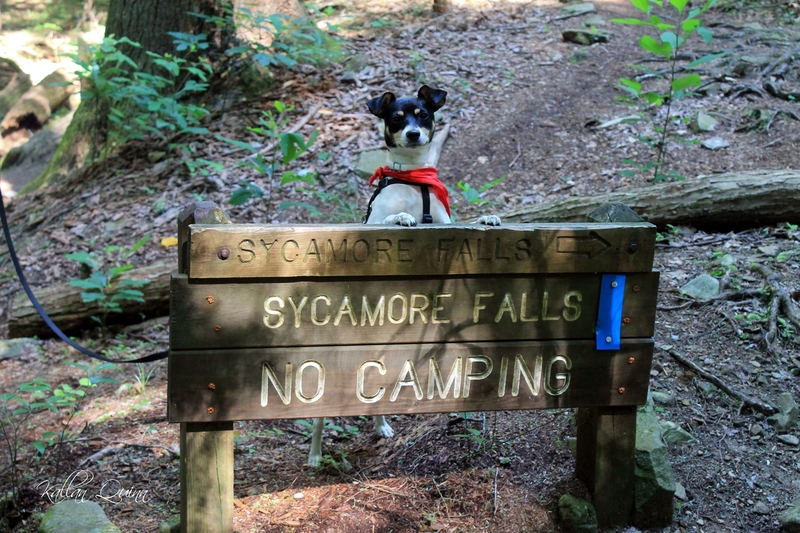 We hiked the trail back to Sycamore Falls and then turned around and hiked back. 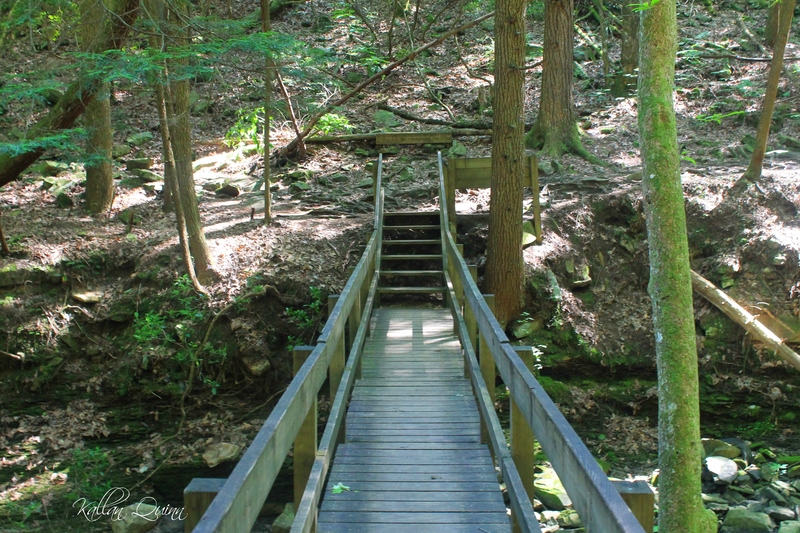 After we crossed the wooden bridge, we took a left and hiked back to the parking area on the Grundy Forest Day Loop. 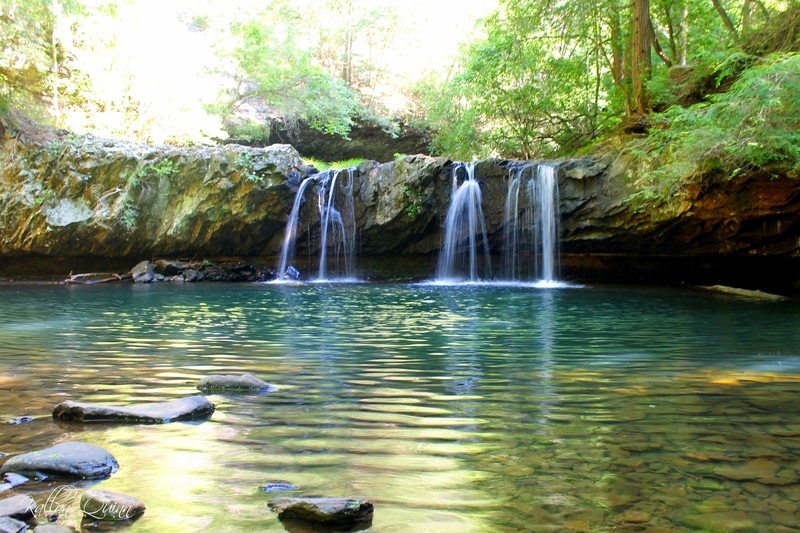 If you do decide to hike the full 12.5 mile trail, it will lead you to Foster Falls. We decided to drive to Foster Falls instead, but be sure to check out my post HERE! Have you hiked Fiery Gizzard or have any questions? Please leave a comment! This is one of my favorite trails near Nashville. 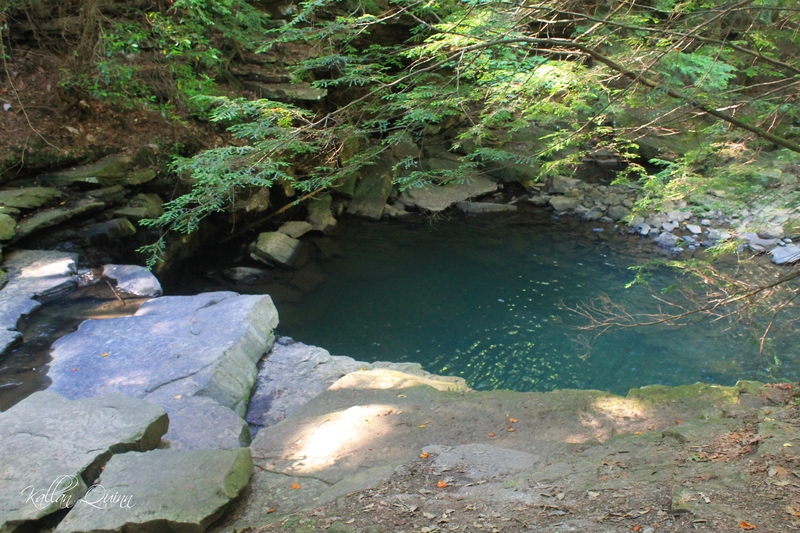 I love all of the swimming holes.